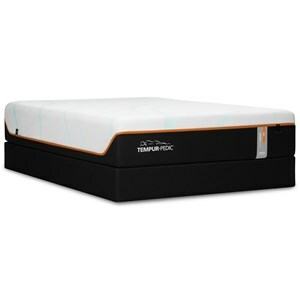 Experience the refreshing comfort of gel-infused memory foam with this high-tech mattress from the TempaGel collection. Layers of CertiPUR-US Certified Memory Foam, Gel-Infused Memory Foam, and Latex provide sublime body support and pressure relief, forming to the curves and angles of your body without causing uncomfortable temperature swings. You'll feel the difference as soon as you lie down. The 4-Way Stretch-Knit Designer Cover provides a remarkably soft, flexible feel where your body meets the bed, setting the stage for nights of excellent sleep. As a whole, this dynamic comfort system virtually eliminates motion disturbance between bed partners so you can sleep without interruption. 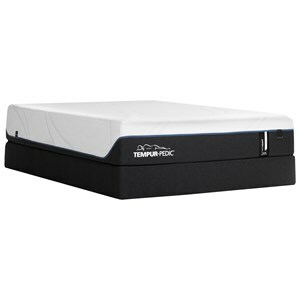 The TempaGel Second Generation Queen Memory Foam Mattress and Foundation by Restonic at Darvin Furniture in the Orland Park, Chicago, IL area. Product availability may vary. Contact us for the most current availability on this product. 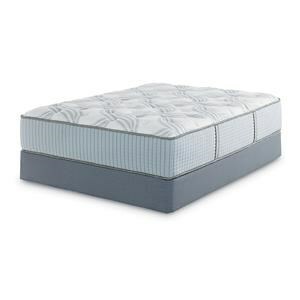 Mattress Construction Foams used in this mattress are CertiPUR-US® certified, meeting or exceeding voluntary standards for content, emissions, and durability. Fire Barrier Information FR Sock encompasses the mattress for a fire barrier. Note: Mattresses manufactured for sale in Canada are not required by law to have fire barriers. HealthRest TempaGel mattresses from Restonic combine gel-infused memory foam with other advanced sleep technologies to bring you the perfect fusion of pressure-relieving body support and cool comfort. 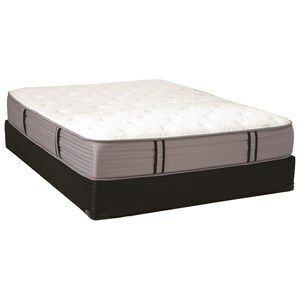 Signature Cool Gel Memory Foam features an open-cell design for enhanced heat dissipation and a breathable sleep surface. All polyurethane foams used in TempaGel mattresses are CertiPUR-US® certified, meeting the highest environmental standards for content, emissions, and durability. Sleep better and wake up refreshed with a TempaGel mattress by Restonic. The TempaGel Second Generation collection is a great option if you are looking for Mattresses in the Orland Park, Chicago, IL area.